We've got a list of the best family ski resorts here and there are some really great places to ski with your family. They have all been reviewed by families and given very high marks. 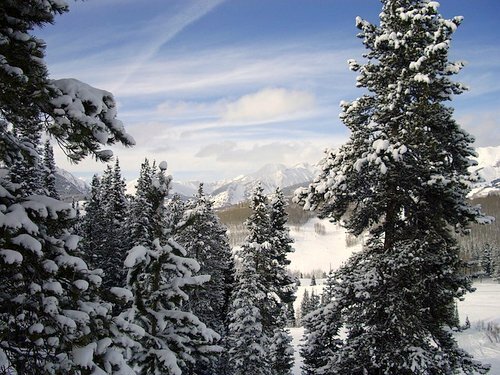 There is a lot of variety and we've listed all of the most popular areas to ski. Here are all the the ski resort areas that we've reviewed. 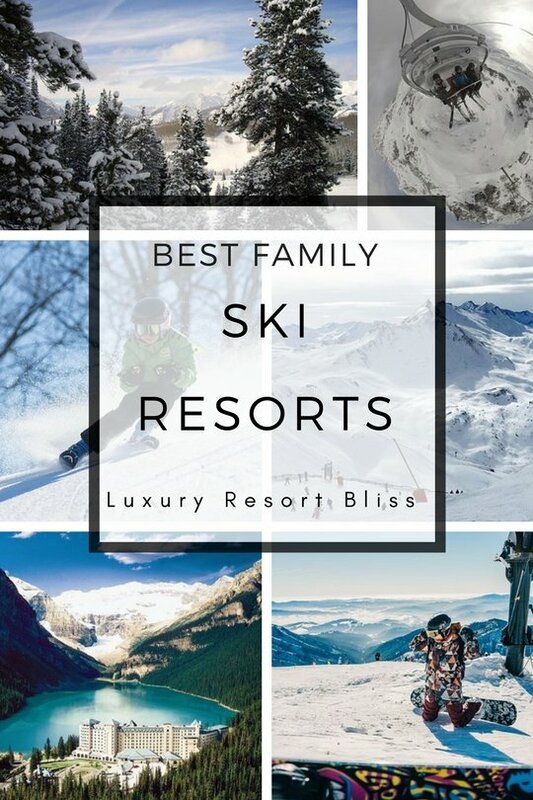 Our individual family ski resort listings are just below. Becoming a great ski resorts for families has many aspects. Great ski schools and kid-friendly things to do, and family friendly accommodation all help. Here are 10 things Whistler does right for families. This insiders guide shows you more of the great family attractions of Whistler ski resort. Colorado, in our reckoning, is one of the first places you need to consider for a family ski vacation. My Family Vacation Ideas (sister site) has a great review of all the top Family Friendly Ski Resorts in Colorado. Snowmass at Aspen prides itself on it's attention to kids activities and claims itself as "one of the most family friendly ski areas" anywhere. You make up your own mind. A family ski vacation at Solitude Mountain Resort in Utah is proud of it's ability to provide a quality experience for families. You will also find some great family accommodation options like the Inn at Solitude. Watch the video below to find out why Solitude, Utah ski resort is great for families. 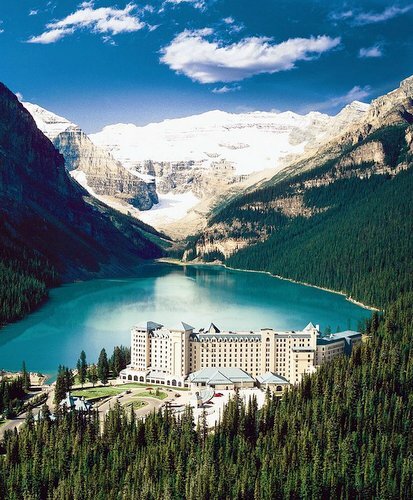 Lake Louise is more than a pretty face. For families, kids will adore the scenery and perfect skiing. This is a resort which is not all about the bells and whistles and fancy attractions and more about the magnificent natural environment. This is a winter wonderland that is sure to excite kids and mums and dads alike. Stowe Mountain Vermont does a lot more to bring out the adventurous spirit than almost any other ski resort. From the Children’s Adventure Center where a lot of the ski instruction takes place which allows kids to ski and ride safely. Then the structured instruction continues through different levels of expertise. Stowe also has the claim to fame of having the famous Von Trapp family call this place home after fleeing Europe. Sound of Music aficionados will find it interesting to know the family runs Trapp Family Lodge today. Another good choice for kids in Vermont is the Hermitage Club. This Deerfield Valley, Vermont family ski resort is a private ski club and four-season mountain resort. See more New England Ski Resorts with our Maine Ski Resorts, New Hampshire Ski Resorts and Shawnee Ski Resort reviews. What happens in Squaw Valley stays in Squaw Valley. And for kids this means a huge party that takes place in February. With big trucks, skating and children's concerts and more families will love Kid-O-Rama. See more on the great California ski resorts. 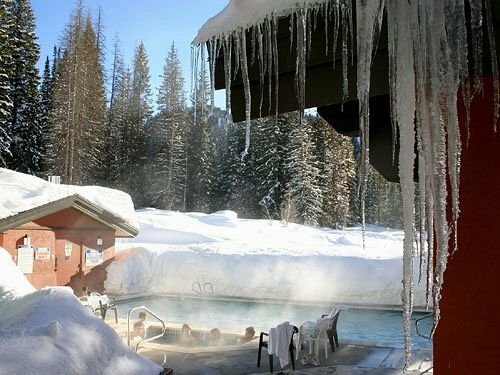 Apart from the outstanding skiing and snowboarding, sleigh rides, ice skating, and family friendly ski accommodation Tahoe has lots more to offer. How reassuring to know you can set out on a ski vacation knowing kids have been thought about by your hosts. Kids are included in all the skiing and snowboarding but there is also tubing and more winter wonderland adventures. Northstar Ski Resort has a great tubing hill for the kids, a big bungee trampoline, nightly fire pits and a ski pass that give access to top Lake Tahoe ski resorts like Heavenly, make this a great family friendly ski resort. The Northstar's Kid's Ski + Board School is perfect for from 3 to 12 years. The Italian Alps are definitely worth a check out if you'll be in Europe. Tirol is home to those amazing looking villages and has great nursery slopes. One of the big attractions for the hoards of families who visit from Great Britain is the safety factor and the fact you can ski right by the nursery. What better place to see what it is like for a family to take a trip to the snow. This family visits Thredbo and complete a three day program. Nearly all the ski resorts in Australia have outstanding beginner terrain. Find out more about ski resorts in Australia. And yes, there's snow in Australia and definitely some of the best family ski resorts in the Southern Hemisphere.